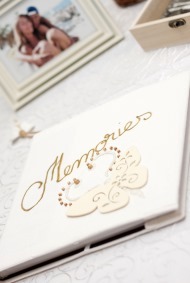 What should you do with family keepsakes and mementos after divorce? While they may hold no sentimental value for you, they may for your kids. And they may resent it if you remove all evidence of their previous life as a family. The following article discusses why children may have an attachment to certain things from your marriage and how you can handle it. Marriage Mementos: Keep or Toss? When your marriage ends, you work through the emotional roller coaster and come (eventually) to a place where you've recovered (somewhat!) from all the turmoil. You might still be fond of your ex (or you might not be! ), but at some point, you move on with your life, leaving the marriage behind you emotionally. What's left are physical reminders of the marriage that you might want to get rid of, however your children likely have different feelings about them. Here are some tips to help you navigate your way through these tough decisions. One thing that will be very important to your kids are the family photos. Your instinct might be that you want them out of your house and out of your life, but these are important items for your kids. For one thing, it allows them to hang onto the fact that you were a couple, and a family, at one point. Your children likely have some very happy memories that can be relived through those photos. Don't toss them, instead save them for your kids. You don't need to leave framed family photos scattered through the house or a photo album on the coffee table (or digital file on the desktop of your computer), but you should try to save many of them for your kids. They will want to look at them from time to time, and that's ok. It's healthy for them to want some visual cues to help them process what happened. You may not want to look at the photos with them and that's ok too. Give some brief feedback and make yourself busy with something else. Plan to pack those photos up and move them out of the house when your kids move out. You likely removed your wedding rings at some point in your divorce process and obviously don't plan to wear them again. Some women do take the stones and have them reset into a pendant or other piece of jewelry to wear. If this is what you want to do, you should. You can always pass that new piece of jewelry on. Some people sell their jewelry and that's an option that is good if it works for you. Be aware that your children (daughters, most likely) will at some point be curious about the jewelry. Some children feel strongly that they would like to have the jewelry or even use it for their own weddings. If you feel uncomfortable with this, be clear that it belongs to you and you can do whatever you want with it. If you refashion it into something else, make it clear that item is a piece you will pass down. If you sell your wedding ring, you might buy something else with the money that can have some importance for your family. If you need the money to pay bills, that's fine as well. There are plenty of other items your kids will be able to hang on to. If you're living in the home you shared with your ex, you probably still see him or her in every corner. Many people remodel, redecorate, or at least make some changes in their home once they are divorced. So what do you do with all the stuff that reminds you too strongly of your ex? Ask yourself if these items will have meaning to your children. A collection of shells you collected on the beach as a family or a souvenir from a family trip to the Grand Canyon are things that have importance to your children. You don't have to leave them prominently displayed in your living room, but maybe your children would like them in their rooms. These items can also be packed up and stored away until your children are grown when you can hand it all over to them and let them decide what to do with them. This doesn't mean you should keep every single item-be selective and space-conscious. If you need to do a real purge, ask your kids for their input on what they might like to save. All of the things we've discussed so far are things that clearly have emotional meanings. Don't be surprised if your children have strange, unexpected attachments to other things you could never have predicted. The recliner the other parent often sat in, the pile of unused lumber next to the garage, the dusty set of glass jars on a kitchen shelf-things like these can be symbols of the other parent and children can get very upset if they are moved, disposed of, or changed. If your child has a sudden outburst about something unexpected like this, take the time to talk it through. Why does this object or objects matter to her? What do they symbolize? It's your house and you call the shots, but if there is a compromise, look for it. Would your child like to keep the item (if it's small!) or some portion for herself? This doesn't mean giving in and not changing a thing to preserve your child's fantasy that you will reunite. It's important to be very clear about that and the fact that as the adult in the house, you make decisions about the home. That being said, having some sensitivity to your child's feelings will make everything smoother. Should You Sell Your Wedding Ring?